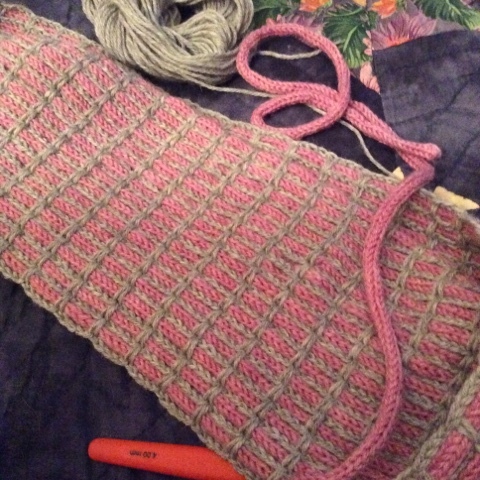 I French knitted one 50gram ball of Wendy's merino yarn then wove it to create a cowl. Unfortunately it didn't hold together after several months. So I have remade it using Anna Hicks idea of crocheting it together. Check out Anna's work. Her online name is Hix Girl. I have used alpaca indiecita to crochet it together.